China born Soprano Jia Ruhan lives in New York and performs in many countries in the world. She started to study piano at the age of 4, Classical, Jazz and Chinese folk dance at the age of 6. When she was 9, she started to study Chinese Opera and the next year, Bel-Canto. She studied both at the Chinese Conservatory of Music Appertain High School and at the Shanghai Conservatory of Music. She did numerous appearances at the Shanghai Center Of Drama, where she performed in theatrical plays, as well as in musicals and recitals. In 2007 Jia Ruhan was selected by the French “Theatre du Chatelet” of Paris to play and sing different Characters in the Co-production of “Monkey : Journey To The West” a Chinese rock-opera composed by Damon Albarn (Blur), with who the next year she recorded several songs in London for a new CD. In March 2008, she recorded in Shanghai the theme song of the “2008 Beijing Olympic Games” composed by Tan Dun. 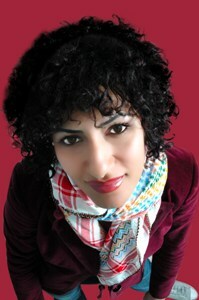 Shaima Sharaf was born in Cairo 29 years ago . She spent most of her life in Rome . Currently she lives and performs in Cairo. She started singing professionally in Egypt when she was 17 years old. Turned 20 , she got a scholarship at the Italian school "CET" , founded by Mogol . Shaima likes to write songs lyrics and poems. She's influenced by many music styles but she mainly sings Italian and English pop/rock. Daniele Musini was born in Naples in 1987. He has been interested in music since his childhood . His professional career starter in 2006 when he participated in the prestigious Italian tv show Treno dei Desideri . There he sang together with the international pop star Lee Ryan. In 2009 Daniele starter to work with the Italian producers and songwriter Luca Sepe. Now Daniele is working on his new album. Dileta was born in Vilnus, Lithuania in 1991. She has been studied in the Karoliniskiu Music School in Vilnius . After has tetaken private vocal lessons in Vilnius and in Dublin and Balbriggan, Ireland , Dileta finished the Loretto Balbriggan Secondary School . She is also interested in audio-visual arts and water sports. In 2006 Dileta participated in the program L ithuania E uropean A sterisk , devoted to the Lithuania's membership in the European Union . Dileta participated in several concerts organized in Ireland and Lithuania. Festivals and contests : R epublican Popular E uropean S ong C ontest '06, Lithuania ( first place ); LLoret de Mar '08, Spain ( third place ) . 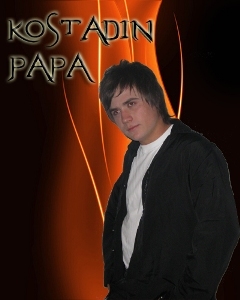 Kostadin Papa is a student in the Secondary School of Music in Bitola. He is one of the discoveries of the Macedonian pop music. 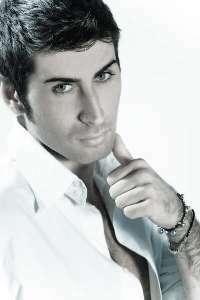 He begins his career in music in 2005 in the Macedonian Junior Eurosong. He participated in other local festivals, such as Makfest and Evrofest. Monika Krsteska was born in 1987. She started showing an affinity for music at the age of 10 , when she started to take piano lessons. She studied at the Ilija Nikolovski Luj Music High School . Now she studies music at the Ss. Cyril and Methodius University in Skopje, Macedonia. Festivals and competitions : Mak Fest '07, Macedonia (prize for the best debutant ) ; Ohrid Fest '08, Macedonia . Aizat ( Muhammad Aizat bin Amdan ) was born in 1989 in Kuala Lumpur . Now he is studying at the International College of Music . Aizat 's career as a singer began in 2007 from the Malaysian reality programme A kademia Fantasia . The same year his song Hanya Kau Yang Mampu was an instant hit and was the Number One song in almost all the radio and TV music charts in Malaysia for several weeks. In June 2008, Aizat launched his first album - Percubaan Pertama ( My First Try ) , distributed by Universal Music. 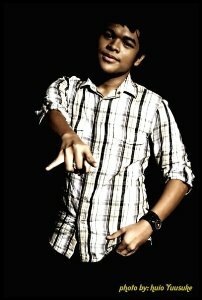 This year Aizat's song Lagu Kita was selected to be among 14 finalist songs in the prestigious Malaysian Music Award. He was acclaimed as the youngest Malaysian composer ever to reach the finals of the event. Recently Aizat has been named to be among the nominess for the Most Popular Male Artist Award in the above event. Aizat has performed in several major events and concerts throughout Malaysia. He loves guitars and occasionally performs with one. He loves composing and has recently completed three compositions for two local singers and his own new single. He intends to further his studies in music and aspires to be a great composer and innovator of fresh sounds in music. 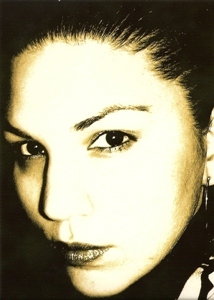 Rita Pace is a singer, author and composer. She studied classical singing but she likes all types of music. She has participated in many festivals in Malta as a singer and also by writing songs for other artists . Some of her songs, interpreted by her or by other singers reached the T op Ten in Maltese radio playlists. Rita Pace has collaborated with different artists. One of her projects included songs for a musical and also material for a television series. She has performed in other countries like Italy. Rita Pace believes that music is an international language that speaks directly to the heart and she always writes with this in mind. She is currently working on new material with various artists. Festivals and competitions : Maltasong F estival '07 (third prize as an author); MaltaHit ' 08 (third prize as an author); Ghanja Tal-Poplu Festival, Malta (awarded three times The Best Lyrics award and three times obtained Second place as a songwriter ); IndiFest Contest, Malta (second prize for lyrics and the prize for the Best Interpretation). Floryanna is a singer-songwriter and composer , born in 1988 in Timisoara , where she studies at the Victor Babes University of Medicine & Pharmacy. She has studied music at the School of Arts in Timisoara , but started singing at the age of 10 as a member of the Flores group . With this group she recorded 5 albums . She participated in several popular Romanian tv shows and has been touring in Angouleme, France in 2007 . 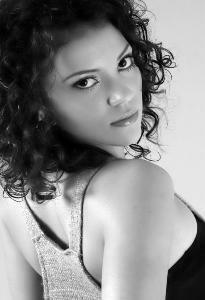 Floryanna speaks several languages and she is interested in poetry, in alternative medicine and dancing . Festivals and competitions : National Selection for the Eurovision Song Contest '09; Fiero '08, Romania (first prize); Flori in orasul florilor National Festival , Romania (first prize); La Poalele Hasmasului Festival'06, Romaina; Autumn Fantasies '04 National Musical-C horeographic Contest (award “ Youth Hope” ) . Jasmine was born in 1985 in Petrosani. She began studying music at the age of 6. She graduated from the Fine Arts school in Petrosani. 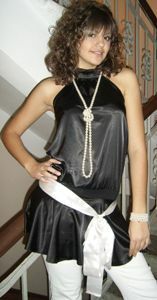 Now she is a second year student at the Academy of Music (singing), she is studying also psychology in Bucharest. 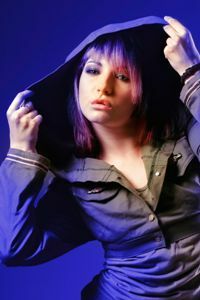 Jasmine was a member of the popular 5 girl's Romanian band called OOOPS . In 2007 Jasmine decided to leave the band and dedicated herself to her solo career. In 2006 and 2007 she participated in the National Selection of the Eurovision Song Contest - Romania. Now Jasmine works hard on her first solo album and on her first video clip for her latest new song, called Fly . Festivals and competitions: Gaudeamus '02 International Student's Festival – Brasov, Romania (first prize); Voci de Copii' 05 National Festival – Aninoasa, Romania (Grand Prix); Discovery International Pop Music Festival'07 – Varna, Bulgaria (third prize for best song and special prize of the jury for best female voice). Nikolay Demidov is the first Russian singer and musician who combines the romantic pop style with e asy-listening and lounge elements . He is the songwriter and composer of his songs but he is interested in many things. He has been studying economics, linguistics and production. Before starting his solo career, he has been the soloist of the well known group To dream . His first hit , the song The Milky Way , is a part of the sound - track of the tv series The return of Muhtar . 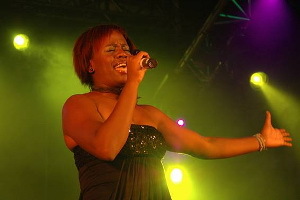 In 2005 the singer reached the final round of the Eurovision Song Contest . The next few years Nikolay spent in East and after came back to Russia, in 2007 , he decided to start a career in film productions. His newest film is devoted to the Russian duet t.A.T.u. and is called t.A.T.u. – In Search of t.A.T.u. , based on the novel t.A.T.u. Come Back of the Russian politic Aleksey Mitrofanov . The film is directed by the famous British script-writer and producer Roland Joffe . Nilokay appears also in one of the most successful tv series – Club ( MTV ) , as well in the music comedy Step by step . Jernej Dermota was born im Kranj in the middle of 80s. He started to explore music in his early childhood with playing flute for 10 years. 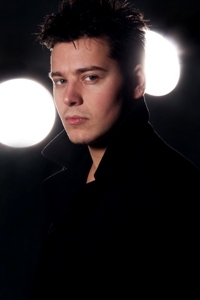 He started his singing career with opera singer Zlata Ognjanovic and later with Diego Barrios Ross and Jordanka Juras. He studied opera with the opera singer Nace Junkar. 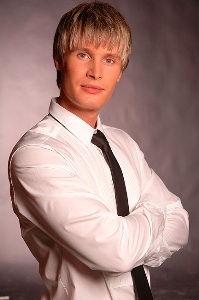 He appeared on the musical scene for the first tine in 2005 (The Slovenska Popevka Festival). Jernej has a lot of songs which are very high in radio charts, such as Veter v Laseh (Windy days), Pricnaj da me sanjas (Tell me that you are dreaming about me), Vulcan (Volcano). He signed contract with the most important musical agency in Slovenia – Lendero & CO.
Festivals and contests : The Summer Song Festival'06 , '07 (Slovenia) ; Slovenian preselection for Eurosong'07; Second C hance F estival'07 , Slovenia (second prize); Kongomaniastars'07 (Slovenia) ; Suncane Skale'08 (Montenegro); MEF'08 (Croatia). Tina was born in 1982 in Tenerife. She studied Social Sciences at the University of La Laguna (Spain) . Now s he is studing singing and music production. She has singing in local and national TV shows and has participated in diferent concerts. CHANY was born in 1989 in Tenerife. He has been studing singing and music with the soprano singer Sabrina Lemus. During the last 5 years he performed in many TV shows, concerts and galas. Since 2004 he is the soloist the Orquesta Kandente - a latin music g roup. He is also one of the soloist of a well know carnival group in the Canary Islands. At the beginning of the summer he is going to launch his first solo album. Festivals and competitions : El Expreso de Mediodia '06 TV Program (second prize); Eurosingers Festival'08, Spain (bronze trophy); Berliner Perle Festival'08, Germany (second prize). Peren Kistak was born in Istanbul in 1984. She started her musical education when she was eight in TRT Children Band. After, she studied singing and piano with several teachers. She got her diploma in psychology and sociology at the Istanbul University. Peren holds concerts as a solist. She participated in a few amateur bands as a back vocalist. She worked also as a vocalist for some records. Now Peren is working a s a psychologist with mentally handicapped children and she is continuing her singing education with Timur Selcuk. Olga was born in 1980 in Nikolayev region, Ukraine. She studied in Nikolayev’s Higher Musical College (1996-2000) (Strings Department - class Cello and Department of Jazz & Pop - Singing). She continued in Kiev National University of Art & Culture (Pop Singing). During her studying she worked as a show production singer, band leader and piano bar singer; with different groups she works onboard passenger vessels. In 2006 she released her first solo album - Voyage of Songs, with cover versions of popular songs in different languages. She won prizes at national & international contests (Kiev, Moscow, Uzhgorod, Nikolayev). Martin Kostadinov was born in 1986 in Varna. He started to explore music when he was 7 years old, as a singer in the Choir of Varna boys and youths. With this choir he took part in several national and international festivals and he realized his dream – a one month tour in the USA. From 2005 till now Martin studies pop and jazz singing at the National Academy of Music in Sofia, under the guidance of the jazz singer Stefka Onikyan. In 2005 he participated in the Golden Peacock National competition and took the first prize for pop and rock singing. At the same time he sang in the Festa Barcelo piano bar in Sofia and later – in the Sinatra piano bar. Martin participated in many concerts, organized in the National Academy of Music and performed several Bulgarian and foreign songs. Now he wants to develop himself as a solo singer and the song called Appropriation is a part of this musical ambition. The female trio Sahara was created by one of the biggest Bulgarian music producers, Joker Media . Nina Ilkova, Ivelina Georgieva and Boryana Hristova have now their two singles. Their first video clip of the song Strictly For Us is broadcasted by all Bulgarian TV channels. The three girls have won several international music prizes before the start of their project, the trio. Nina Ilkova has 18 years. She is studying eco chemistry at the Sofia University. In 2006 Nina was awarded third place at the annual classifying of the music show Hit minus one of the National Bulgarian Television. The talented and charming Nina was the favorite of Lili Ivanova, the Prima of the Bulgarian pop music, who has organized the music contest Copper Tinklers . Ivelina Georgieva is studying pop and jazz singing at the New Bulgarian University. She won the first prizes in the international music contests Sarandev – Dobrich (Bulgaria), The Golden Fish and Stars – Varna (Bulgaria). Boryana Hristova is studying Music Pedagogy at the Shumen University. She won the first prize in the Planet's Youth Music Competition in Moscow when was 11 years old. The next two years she won Grand Prix in the Sarandev European Pop Rock Competition in Dobrich and in the Golden Fish International Pop Music Contest in Varna. She won also Grand Prix for best pop singer in the Music World Festival in Italy and was awarded first place in the Music Corner International Contest in Zajecar (Serbia and Montenegro) and Sun, Youth, Beauty Contest in Ukraine. Mihaela was born in 19 91 in Veliko Tarnovo . She has started to sing when she was a child . Later she started to sing pop and jazz songs in the Vocal Studio Rumina . Mihaela is interested also in mathematic and computer science . In 2007, together with Kiril Ampov , she presented the Hit -1 National TV Music Contest. Some festivals and contests : Little Stars `02 Contest - V . Tarnovo ( first place ); Patent Leather Shoes '06 International Festival – Berkovitsa , Bulgaria ( Grand prix ); Silver Yantra International Contest for Young Pop Singers – V . Tarnovo (2006 – Special prize of the BNT ; 2007 – best interpretation of a song in foreign language ); New Music '08 International Contest for Pop Song – Gorna Oryahovitsa ( second place ); Little Stars for Lora '08 National Contest ( Grand prix ); Seasons '08 Annual Music Awards – Burgas ( Grand prix ); Sarandev '08 European Pop Rock Contest – Dobrich ( Grand prix ); Faces of Friends '08 International Pop Music Contest – Kagul, Moldova ( first place ).